The Stand out Feature of HTC U11 is the Edge Sense through which a user can interact with it squeeze. 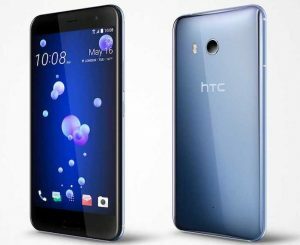 HTC U11 Smartphone: HTC has launched it’s new U11 smartphone in India at a launch event. The Edge Sense feature stands a big attraction feature for the device which promises a new way of interacting with the device. Pre-orders for the device have been rolled out via HTC online store. The 6GB of RAM variant launched in India will be available via Amazon India and through offline retailers for the price of Rs.51,990. Discussing the specs, HTC U11 features 5.5-inch Quad HD Super LCD display with 1440×2560 pixels resolution Corning Gorilla Glass 5 protection on it. It is powered by a 2.45GHz quad-core Qualcomm Snapdragon 835 SoC processor. The smartphone comes with 4GB RAM/ 64GB storage and 6GB RAM/ 128GB storage variants. However, only the 6GB RAM variant with 128GB internal storage is rolled out in India. Furthermore, the storage can be expanded up to 2GB with a microSD card. 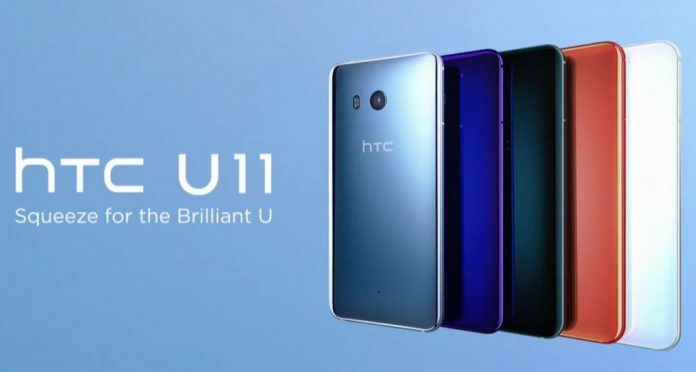 Coming to optics, HTC U11 sports a 12-megapixel camera with 1.4-micron pixel, BSI sensor, OIS, ultra spread autofocus, f/1.7 aperture, slow-motion, dual-LED flash, and 4K video recording. Also there are few more camera options like Face Detection, 32-second long exposure, Pro mode with manual control, and RAW format support, Panorama, HDR Boost, and Hyperlapse. Front camera of HTC U11 packs a 16-megapixel BSI sensor with features like make-up, voice selfie, HDR Boost, auto selfie and Selfie Panorama. Connectivity options in the device include GLONASS, USB 3.1 Type-C port, GPS/ A-GPS, Wi-Fi 802.11 a/b/g/n/ac (2.4GHz & 5GHz), Bluetooth 4.2, and NFC support. The HTC U11 is backed by a 3000mAh battery which claims up to 24.5 hours of talk time and standby time up to 14 days. There are few battery options like Quick Charge 3.0 support and extreme power saving mode.